Invertebrates account for more than 95% of all animal biodiversity and provide key ecosystem services such as carbon cycling, maintenance of soil fertility and water purification. The provision of such services to society is mediated by species’ functional traits - their body size, how they consume resources, their mobility, etc. Yet, to date, our understanding of invertebrate functional trait responses to global environmental change has remained limited. 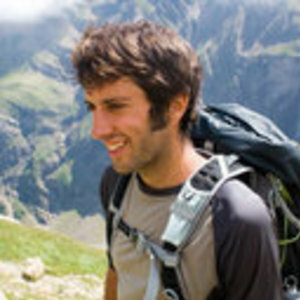 Glacier-fed rivers represent an ideal model system for exploring the impacts of environmental change on invertebrate functional traits at a global scale as they are relatively pristine (free from direct human modification) and are found worldwide within confined geographic zones (Arctic and alpine). Climate-induced glacier retreat has been apparent in most regions of the world, creating consistent gradients in river habitat conditions downstream of the melting ice – these range from harsh cold, turbid, unstable conditions close to the glacier to more benign, stable conditions further from the glacier terminus. A European Science Foundation meeting at the University of Birmingham in 2013 brought together 18 researchers studying glacier-fed river systems from across the globe. It quickly became clear that we had invertebrate records from glacier-fed rivers covering a wide latitudinal gradient - from the high Arctic to the US Rockies and the French Pyrenees to the famous Fox and Franz Josef glaciers of New Zealand. Luckily, the field sampling techniques had been standardised across the majority of our sites, meaning that we were able to combine our datasets to examine global patterns. The combined dataset represented records of more than a million invertebrates collected from 100’s of sites representing 1000’s of hours of field and laboratory work. However, we still had the far from trivial task of harmonising and expanding existing trait databases from three continents. For this task, we were able to enlist expert advice from taxonomists working in each region to advise on functional traits for some of the rarer species. 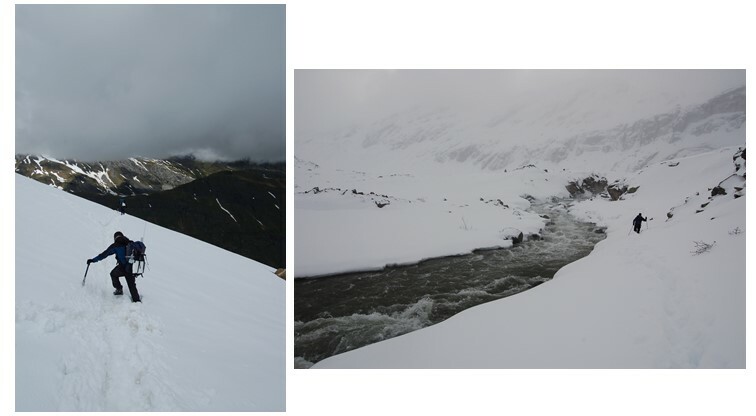 With the trait database complete, we started working on this great dataset expecting to confirm some long-held ideas about what happens to invertebrates in glacially-influenced rivers as the ice melts and eventually disappears altogether. Previous work led us to predict that invertebrates are less ‘filtered’ by the environment as glaciers shrink. In other words, that animals with particular specialist traits, like the ability to live at low temperatures and resist harsh, unstable conditions, would be replaced by animals with a variety of other traits. To some extent we found that this was indeed the case, but the surprise for everyone was that geography was an even more important factor – the adaptation of these ecosystems to climate change is limited because the animals that should be living in the new conditions are often unable to reach the site. The results highlight the significant potential for using traits based approaches to understand how other groups of invertebrates (e.g. terrestrial or marine) will respond to environmental change around the world. They also raise important questions about fragmentation of rivers because dams and reservoirs can further restrict the movement of animals, limiting their adaptation to climate change. At the same time, glacial river basins are often desirable areas for locating new dams for hydroelectricity and water resources management, especially in developing countries. 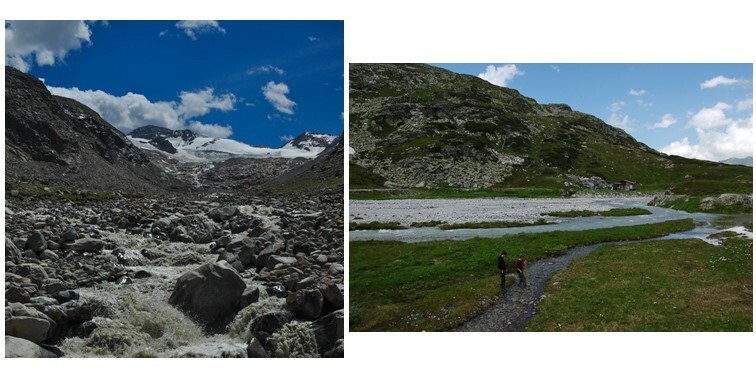 Ongoing work with the team is looking in more detail at the processes involved and the consequences for ecosystem services in Arctic and alpine regions where glaciers are being lost at an alarming rate. 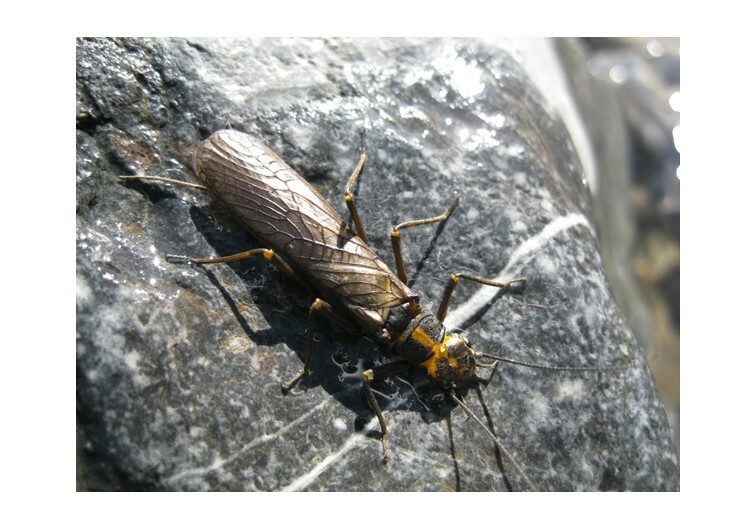 An adult predatory Stonefly (Perla grandis) after emergence from an alpine stream. This species has a large body size and requires two years to complete its aquatic life cycle stage, hence is only found at more stable sites with lower glacier influence.